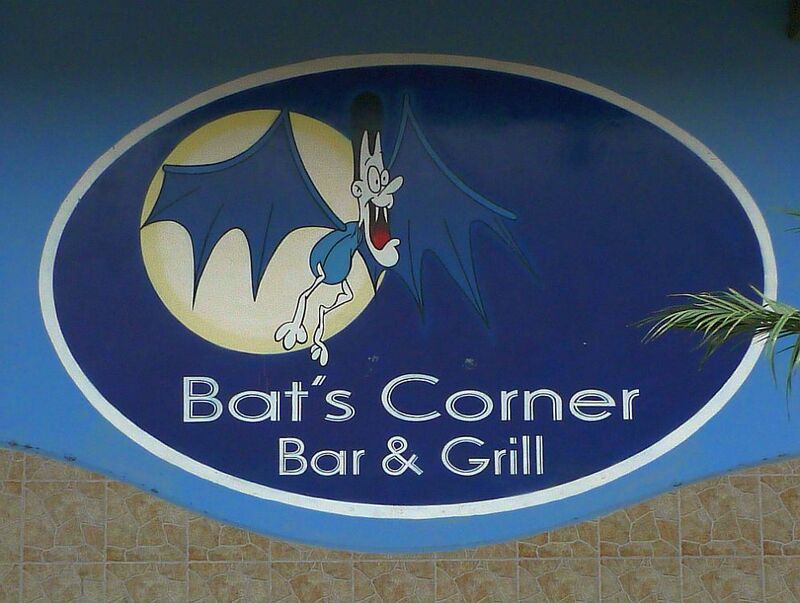 Tucked on an unassuming-yet strategic location in Manta, Ecuador, Bat’s Corner quietly awaits the daily lunch-time clientele. 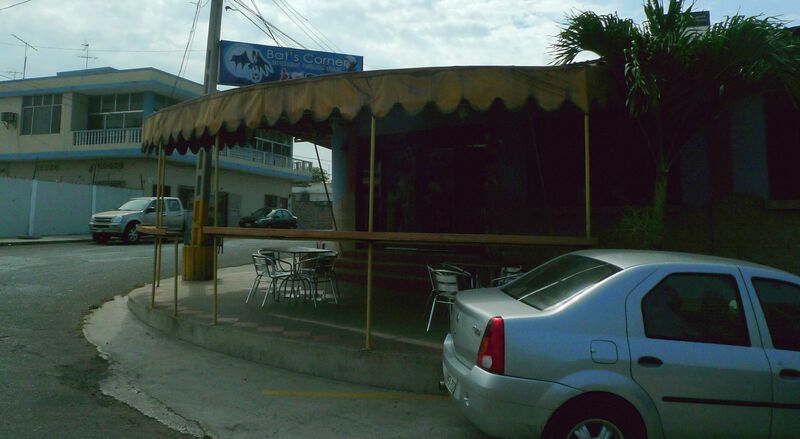 Near Playa Murcielago, Oro Verde Hotel and the forever popular KFC, Bat’s Corner Bar & Grill is my favorite spot for the noon almuerzo. Never have I been disappointed, and the quality and diversity of their menus continue to amaze me. This past Tuesday’s dining pleasure began with the always-complimentary bowl of popcorn to pacify the palate, and a medium-sized glass of fresh maracuya (passion fruit) juice quickly followed. The almuerzo choices were ‘carne o papa’ for the soup course and beef or chicken for the main course. In typical Ecuadorian style, I dumped a handful of popcorn into the ‘carne’ soup and enjoyed the journey into a new culinary experience. What I thought was the typical large ball of compressed corn masa and cheese turned out to be an extra-large and highly-seasoned meat ball! 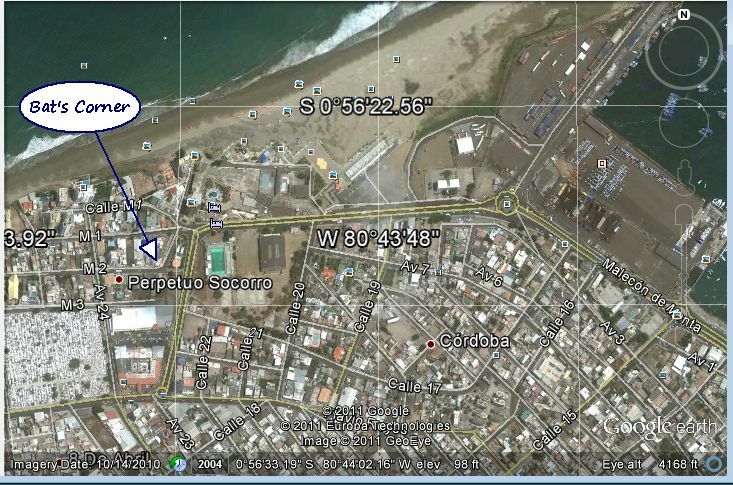 Taking my time, I switched between dining and working on data for an upcoming meeting. The soup won my attention when I found a prize waiting at the center of the meat ball: a hard-boiled egg! When I finished the soup, my waiter quickly removed the bowl and presented the main course: a highly-spiced baked ground beef entree with a mushroom cream sauce. Fresh mushrooms, I might add, along with fresh green peas, rice pilaf, a green salad and a portion of baked sweet plantain complemented the meal – all for $2.50! But wait — the waiter brought more — a modest serving of a jello-type dessert! With the spirit of a child, I savored my reward for cleaning my plate! Vincent seemed pleased that I noted his attention to detail and his selection of quality ingredients. Never one to plan menus days in advance, he buys what is fresh at the nearby markets, which includes straight-from-the-ocean fish.